To changes in atmospheric pressure (especially during the periods of oscillations) is very sensitive the human body. Low or high atmospheric pressure violates some separate functions of the body, which leads to poor health or even having to take medication. Higher is the pressure, which reaches elevations in excess of 755 mm Hg. This increase in atmospheric pressure primarily affects people who are prone to mental illness and disease asthma. People with various heart pathologies also feel uncomfortable. This is especially true in a time when the jumps in atmospheric pressure occur rapidly. People suffering from hypotonia, an increase in atmospheric pressure occurs increased blood pressure. If a person is healthy, in such a situation, in the atmosphere it increases only the upper systolic blood pressure, and if the person is hypertensive, blood pressure he had with the increase in the atmospheric tone. When atmospheric pressure is reduced to the level of 748 mm Hg people with a weather dependent experience severe discomfort. Hypotensive lose power, they have nausea and dizziness. Low atmospheric pressure also affects people with heart rhythm disturbances. Having a tendency to depression and suicide, I feel the aggravation of anxiety and restlessness, sometimes leading to tragic consequences. In this period it is necessary to try to avoid excessive exercise and sports. It is very important that using medications (prescribed by a doctor) and also by hot black tea or (if no contraindications) small portions of alcohol to be able to somehow take control of their health and mood. At low atmospheric pressure, the lower the partial pressure of oxygen. In arterial blood, markedly reduced the tension of this gas, which stimulates special receptors in the carotid arteries. The impulse is transmitted from them to the brain, resulting in shortness of breath. Due to enhanced pulmonary ventilation, the human body is capable of at altitude (when climbing) fully provided with oxygen. The overall health of the person under reduced atmospheric pressure reduced by the following two factors: increased activity of the respiratory muscles, requires additional oxygen, and washing out carbon dioxide from the body. A large number of people, at low air pressure see problems with some physiological functions, which leads to oxygen starvation of tissues and is manifested in the appearance of shortness of breath, nausea, nasal bleeding, dyspnea, pain, and changes of smell or taste, as well as arrhythmic heart. Many people suffer from weather sensitivity - dependence of health state from fluctuations in weather conditions. When atmospheric pressure decrease the health of the person can greatly worsen. For a comfortable human being is the atmospheric pressure shall be 750 mm of mercury.St. A lower pressure is called a cyclone. It is often accompanied by cloudiness, high humidity, slight increase in temperature and precipitation. 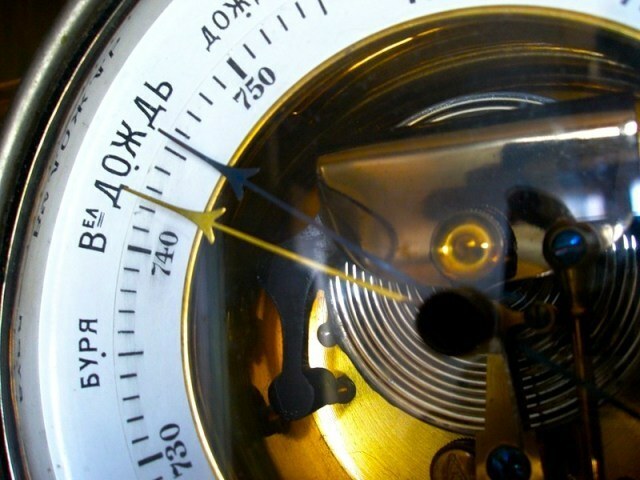 When the drop in atmospheric pressure also decreases and the blood pressure of a person. The influence of the cyclone's most vulnerable people who have problems with heart and blood vessels, suffering from hypotension, disorders of respiratory function. With a sharp decrease of the atmospheric pressure, even a healthy person feels a little discomfort: drowsiness, reduced efficiency. There could be possible deterioration of the gastrointestinal tract - increased gas formation. During the cyclone in the atmosphere decreases the amount of oxygen. The person becomes difficult to breathe, and this often leads to a decrease in blood pressure. As a compensatory response in breathing and heart rate, may develop oxygen starvation, which causes fainting, exacerbation of chronic diseases. 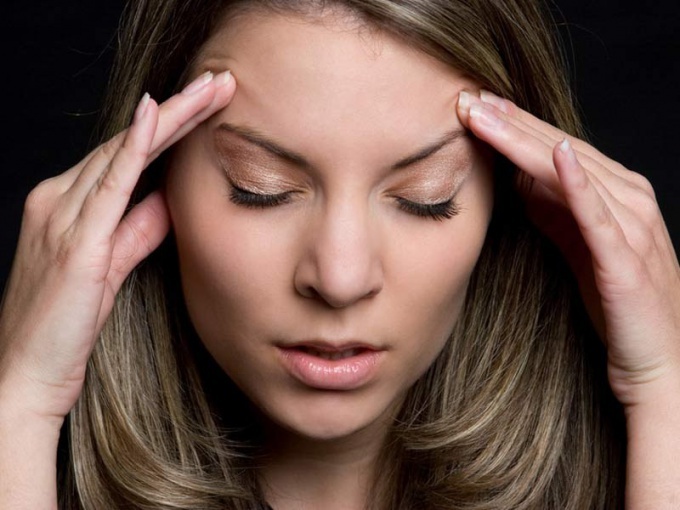 People with increased intracranial pressure may suffer from migraines. During the cyclone feel good people suffering from hypertension if their blood pressure was elevated. However, if the person with medication brought his fortune back, with a low atmospheric pressure, his health is bad: there is a severe headache that starts to pound in his temples. Hypotensive tolerate low atmospheric pressure worse than high blood pressure. They have lost power, there is a strong drowsiness, nausea, dizziness. Severely deteriorating health in people with depression. In the period of the cyclone is necessary to control blood pressure in the body. Recommended to use during the day is more fluid. Good health will help maintain a strong peaceful sleep, a cold shower, Cup of coffee, and tincture of Eleutherococcus, Schizandra or ginseng. Need to have fresh air, you would need to ventilate the room or just walk around. Desirable NAP. Ideally in winter, a quiet time should be from 10 to 12 hours a day in summer from 14 to 16 hours. It is important to Wake up at least three hours before dusk. Well-being can be corrected through diet. You need to eat something salty, for example a piece of herring. This will have a positive effect on ion balance and improve overall health.